A thrilling adventure to discover the natural beauties of Cozumel exploring the northern part of the island by Jeep and speeding along its charming coast on a motorboat. A relaxing break and a delicious lunch are the perfect end to this unforgettable experience. We leave the port behind us and reach our basecamp in the jungle where our guide and Jeep await us. After a short introduction and with the necessary safety equipment, we get on our Jeeps in small groups and start up the engines to set off on our adventure. 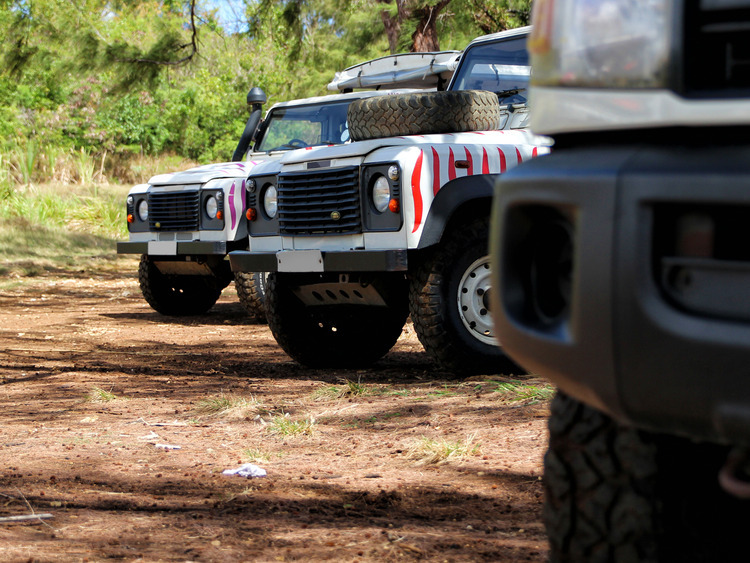 Our convoy follows our guide to discover the northern part of the island. We venture into the heart of Cozumel where we have the chance to admire some important monuments along a narrow winding trails flanked by lush tropical vegetation inhabited by birds and other creatures such as iguanas and rodents. We finally reach a resort on a lovely beach and get ready for our next adventure: an adrenaline-filled motorboat ride along the island's coastline. We speed over the waves and take in the scenic coastline with its white sandy bays and fascinating lagoons as the wind blows through our hair making us feel like the true masters of the ocean! Back on shore, we enjoy a relaxing break and a delicious lunch before returning to the ship. Jeeps can seat up to 4 passengers and must be shared with other guests who take turns driving. Maximum weight per Jeep: 317 kg. This excursion is not recommended for pregnant women, guests with back, neck, knee or shoulder problems and those who suffer from cardiac and breathing conditions, asthma, diabetes, epilepsy and other conditions. Minors under 18 years of age must be accompanied by an adult and cannot drive motorboats. It is mandatory to wear a lifejacket while on the motorboat. Motorboats are two-seaters with a 25cv outboard motor that can reach a maximum speed of 30 km/h. Maximum weight per motorboat: 226 kg. Minimum age for snorkelling: 10 years. Depending on the weather and/or sea conditions, snorkelling might not be possible.